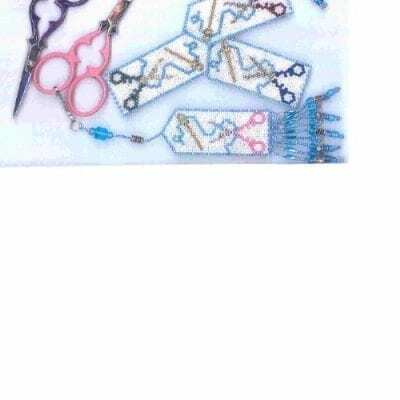 This is a limited edition kit from Lesa Steele that has a beautiful butterfly charm for its focal point. 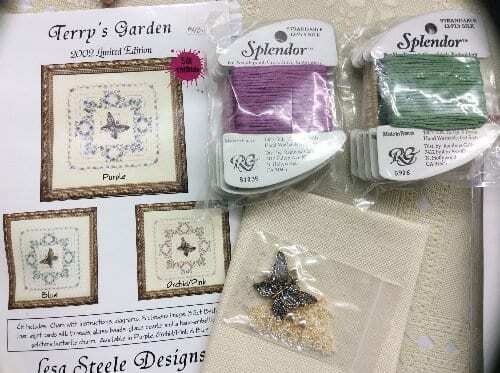 Kit includes silk threads from Rainbow Gallery, 32 ct. linen fabric, beads and pearls, butterfly charm and instructions. Not reorderable – when they are gone – that’s it.